Dundee film-makers are gearing up for the release of the latest episodes of their sitcom – with another star name added to the bill. Michelle Williams has said she felt “paralysed” after discovering All The Money In The World co-star Mark Wahlberg had earned vastly more than her to re-shoot portions of the film. What do Mark Wahlberg, Lorraine Kelly and The Proclaimers all have in common? 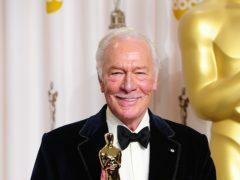 All The Money In The World’s Christopher Plummer has said it was “scandal” that Michelle Williams got a fraction of what Mark Wahlberg was paid for the movie’s reshoots. Michelle Williams has celebrated Mark Wahlberg’s decision to donate his 1.5 million dollar (£1.1 million) pay cheque for reshoots of All The Money In The World to Time’s Up in the face of criticism. 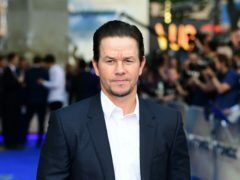 Mark Wahlberg has agreed to donate his more than one million pound fee for the All The Money In The World reshoots to the Time’s Up campaign. 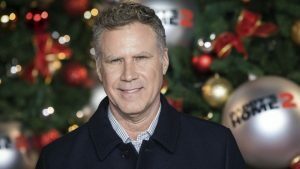 Will Ferrell has spoken about the challenges of parenting three young children, comparing his little boys to “trial lawyers”. Mark Wahlberg and Will Ferrell are to take to the red carpet for the premiere of Daddy’s Home 2. Johnny Depp is Hollywood's most overpaid actor for the second year in row, according to Forbes. A DUNDEE caddie could have been forgiven for shouting “action” instead of “fore” after a Hollywood A-lister called on his services.